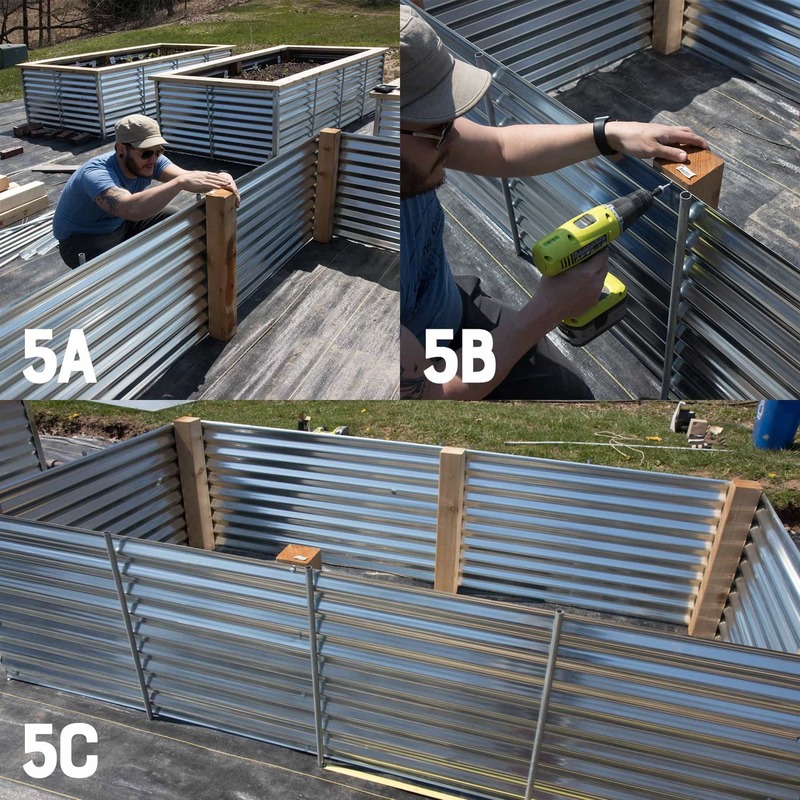 A full tutorial on how to build Galvanized Steel Raised Beds, why they are better than any other types of raised beds, and how to turn them into easy cold frames. 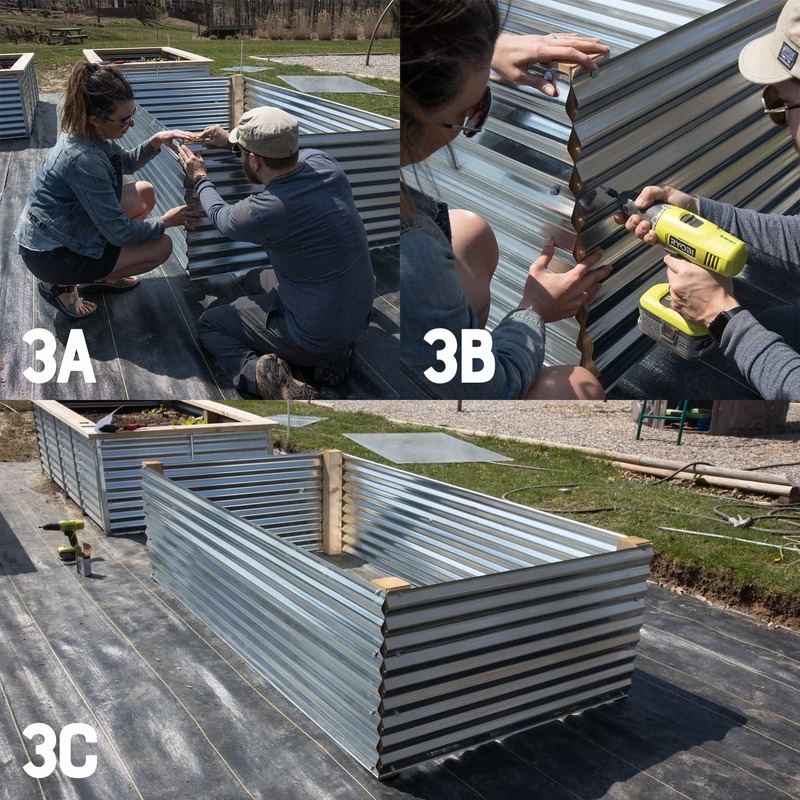 As I mentioned in our Garden Plan post for this year, one of our huge undertakings for our 2018 vegetable garden is building brand new galvanized steel raised beds. This will be our sixth growing season working this space, and this year, we decided it was time to invest in our “forever” beds. 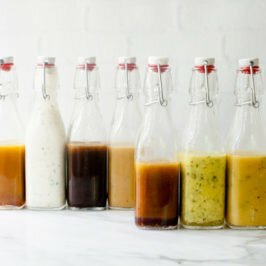 When we first started growing in this space, we had planned on growing in wide raised rows in our garden space like is suggested in one of our favorite gardening books—in fact, we even spent one fall digging them throughout our entire growing space—but it didn’t work out for us for a few reasons. The main issue was that we have a wicked weed seed infestion in our garden soil. We’ve tried fighting it with mulch and a lot of back-breaking weeding, but we ended up losing the battle every year. 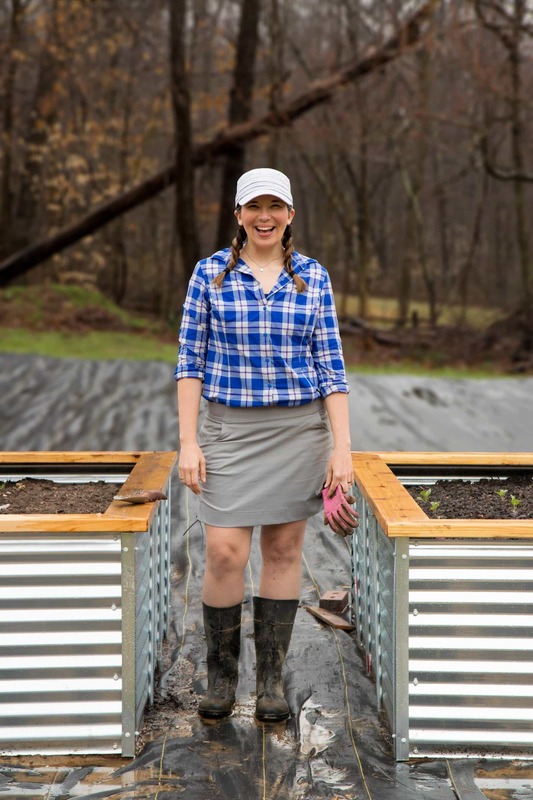 We decided something had to change—and building raised beds with fresh soil was it. Of course, weed control isn’t the only benefit of raised beds. 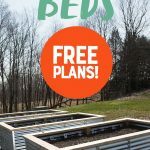 We’ve always had amazing success growing in raised beds because you have so much control over the growing environment—it’s easy to control the watering, the fertilizing, and the pests. They also look beautiful, and since we ended up making our raised beds so high, they make any garden work easy on the back and the knees. There are some negatives to raised bed gardening though. The main one being that it dramatically reduces your growing space. You just can’t cultivate the same number of plants you would be able to if you took the same space and make wide rows. The other big hiccup: it’s expensive to build raised beds. Tilling up a plot of land and planting some seeds is relatively cheap (or even free), but once you start adding in building materials to build raised beds and soil to fill them up—it can get pretty pricey. Treated lumber: This is a pretty standard way to build raised beds—a lot of folks use treated lumber (and in fact, our previous raised beds were treated lumber). We didn’t want to go this route for one reason: the chemicals they use to treat lumber freak me the hell out. And the idea of those chemicals being in close proximity to the garden soil that I grow my organic vegetables in for 20+ years? Well, something just wasn’t adding up there. This would have been the cheapest option (closer to $75 per bed), but in the end, we decided that if it’s important enough for us to invest in buying organic vegetables from the grocery store, it’s important enough for us to invest in raised beds that aren’t (possibly) going to leach dangerous toxins into the precious soil we grow our food in. Cedar lumber: This was where we went next. Cedar is naturally rot-resistant (for 15-20 years, I’ve heard). It weathers beautifully, smells wonderful, and is easy to get. The only problem? Holy crapoli, is it pricey. Doing a full cedar bed the height we wanted was going to be upwards of $300 per bed. That just wasn’t feasible for us. 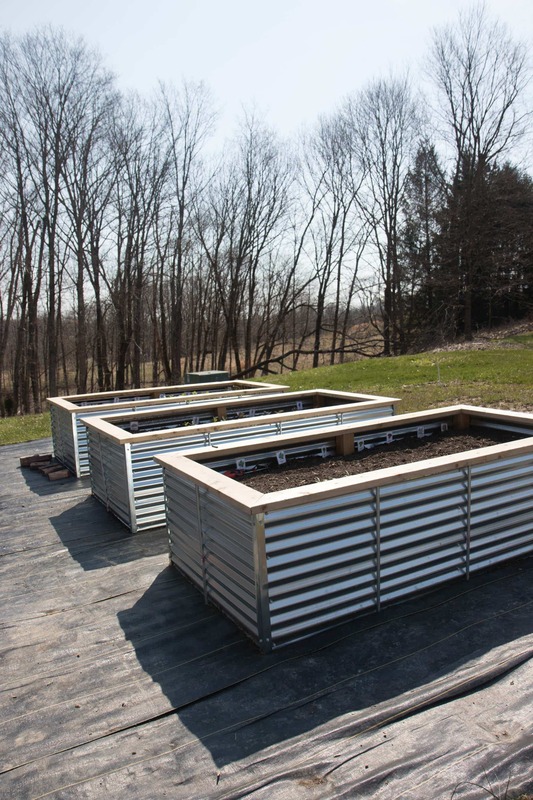 Galvanized steel roofing panels with treated lumber frame: I’d started to see the Corten Steel planters all over Instagram—and while they are beautiful, their price and aesthetics aren’t quite right for our garden space. But they did give me the idea of using galvanized steel roofing panels! We used them on our chicken coop, and we loved working with the panels so much, that we knew we’d use them again somewhere. 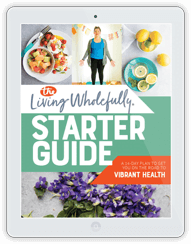 They are affordable, readily available, and beautiful! 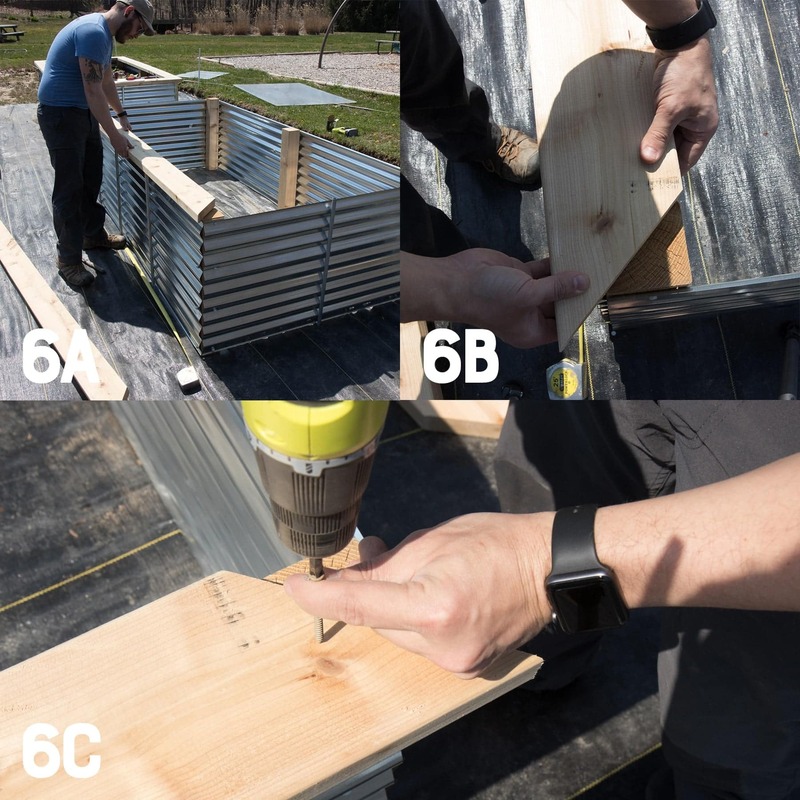 We started doing some research about using them as raised beds, and a number of people have done it, but because the panels are thin and bow when filled with soil, you need to build a full lumber frame (with supports inside) to support them. When we priced this out, it was barely any cheaper than the cedar route, it was going to take a lot of time to build the frames, and we still had the dreaded treated lumber touching our soil. Back to the drawing board. 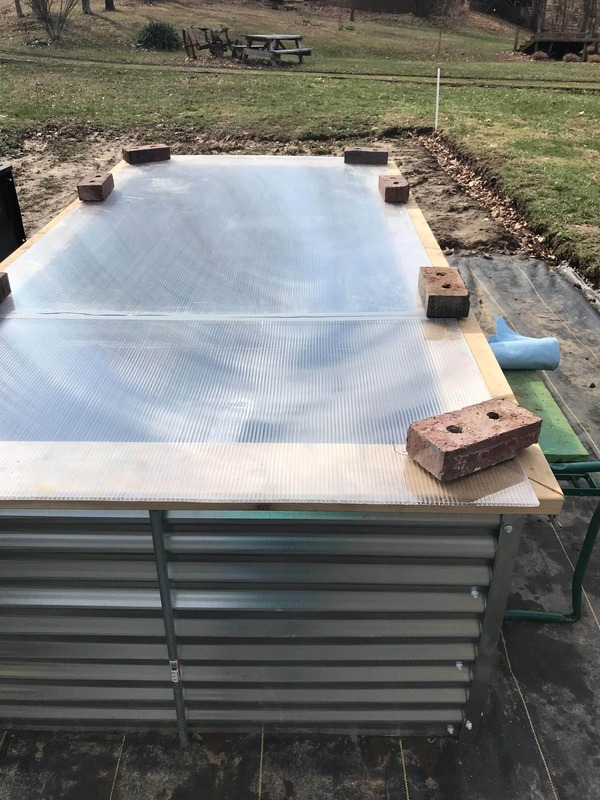 Galvanized steel roofing panels with cedar and conduit supports: I refused to give up on the steel panels, so I kept Googling and Googling to try to find someone who had made a bed without the treated lumber frame. I landed on this post from the Prarie Homestead. They didn’t use a frame, but her beds use steel bridge decking, which is thick enough not to bow with the soil. The panels are not something you can just head to Lowe’s and pick up, and it’s not cheap. We nixed that pretty quickly. Then! Then! I found this post where they buried conduit in the ground to support the side panels, and then used 4″ x 4″ supports in the corners. WE HAVE A WINNER! My husband ended up fashioning a plan based on those pictures where we use 4″ x 4″ cedar supports in the corners and middle of the bed, the panels are screwed to those supports, and then we sunk metal conduit on the sides to support the beds. These beds cost us right around $150 per bed to build (before soil). I’m going to give you a full tutorial for how to make these beds at the bottom of this post, but first, I’ve been getting a lot of questions about these beds, so let me answer those. Why did you choose to put landscape fabric under the bed? Moles. And weeds. Moles and weeds are jerks. And we have a lot of both them. Moles love to burrow through our garden and just destroy our garden beds, so we’re hoping the 30-year landscape fabric we used will keep them out. Same with the weeds, to a lesser extent. Most weeds won’t be able to germinate up through two feet of soil, but honestly, our weeds are so relentless, I wouldn’t put it past them. So we erred on the side of too much weed control as opposed to too little. We will be covering all the landscape fabric with crushed or pea gravel later in the season. Landscape fabric is a necessary evil for us. 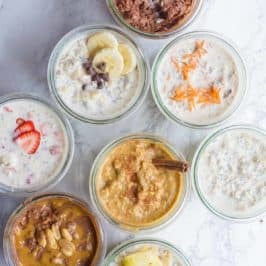 I don’t love having a petroleum-based product at the bottom of our beds, but I think if we didn’t put it down, we would have been kicking ourselves for years. We investigated some other weed and mole control methods, but none of them seemed as sure as landscape fabric (by the way, this is the weed fabric we always use—it’s really great quality and, if you have a Prime account, Amazon is the cheapest place we’ve found to buy it and get it shipped). I take some comfort in the fact that the fabric is below two feet of soil—hopefully any chemical leaching the fabric does will leach down and not up. One thing we did have to adjust because of the fabric—we had to bring in worms! 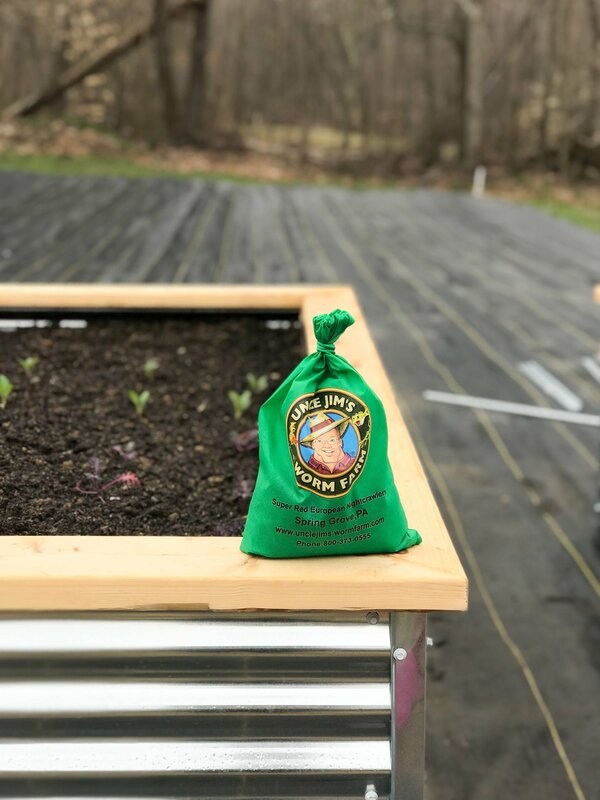 Worms probably would have eventually found their way through the seams of the fabric into our beds, but we sped up the process a bit by inoculating our beds with nightcrawlers from Uncle Jim’s Worm Farm. Why did you make the beds so deep? The depth of our beds is 26″—the same width as the galvanized steel roofing panels. Could we have cut them down to make shorter beds? Absolutely, but we didn’t want to for a few reasons. The obvious one is that a higher bed makes for less back-breaking work. Our beds are high enough that we can comfortably sit on the sides and weed or bend over to harvest without feeling like our knees and backs are taking a beating. This isn’t a huge deal right now since we are in our mid-thirties, but since we want these to be long-term beds, we were thinking about future Cass and Craig. In 10, 15, 20 years, I think we’ll be thanking our past selves for making higher beds. The second main reason is that plants want way more soil than you imagine they would. They like lots of space for their roots to spread out—especially plants with long taproots like carrots. 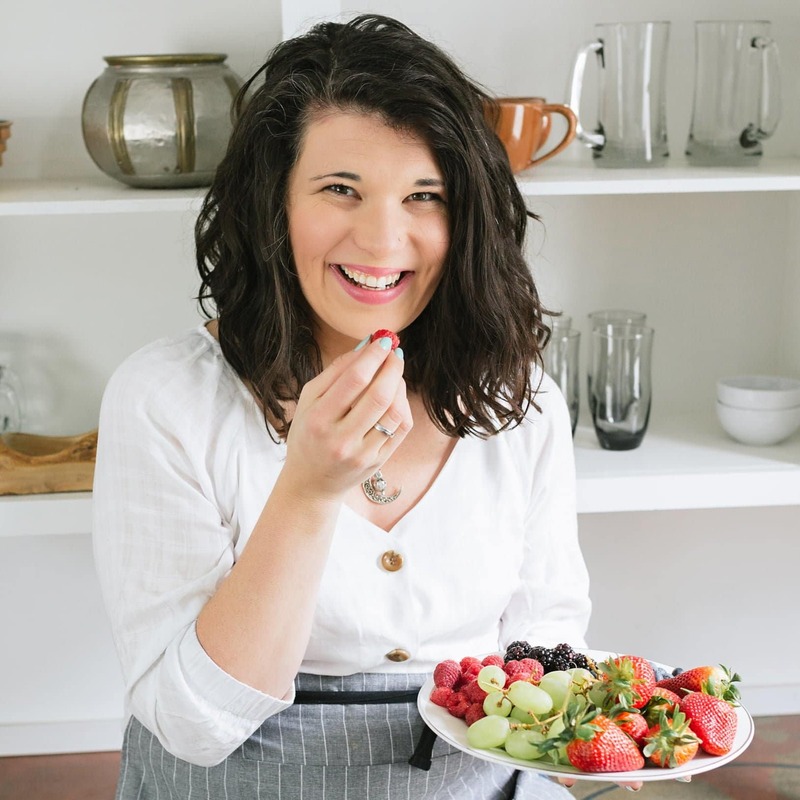 Honestly, the more soil space you can give your plants, the happier they’ll be. The only con to these mega deep beds is the amount of soil you need to fill them. We brought in weed-seed-free soil and compost from a local company, and the volume just makes it a lot more expensive. But thankfully, it’s a one time expense. How long do you think these will last? The galvanized steel panels, conduit, and corner covers will last 30-60 years. The cedar supports will probably be a bit less—closer to 20 years. If we get 20 years out of these babies, I’ll be thrilled. 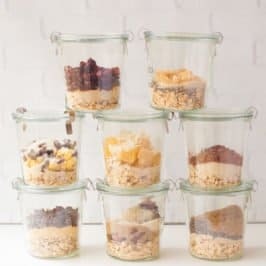 Do you have a cold frame to use with these? Yes, and it’s laughably simple! We didn’t fill our beds 100% to the top with soil—we left about six inches clear—so we can cold frame the beds without much effort at all. Literally, our “cold frame” is just a plastic greenhouse panel laid on top with some bricks to hold it down. This works so well, it’s amazing! On a 30° and sunny day, it was up to 75° in the bed within about five minutes of putting the panel on. The best part about this? It was totally free. 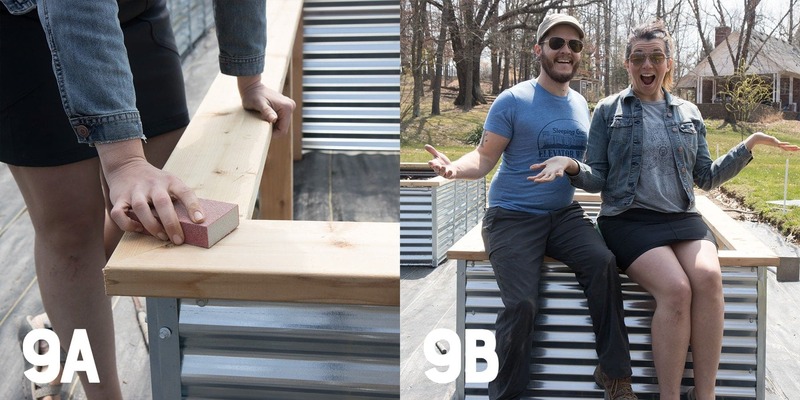 We screw these panels into the side of our chicken coop in the winter to act as a windbreak in their run—so when we took them off for spring, we just moved them onto our garden beds! What did you fill your beds with? We had a big dump truck load of half garden soil and half organic compost delivered to our house. The garden soil is a mixture of screened topsoil and sand (to help with drainage). We then tested the soil and amended it as necessary in each bed. Each year, we’ll top dress the beds with more compost and worm castings. I wasn’t planning to post a full tutorial for these beds, but since I’ve been talking about them over on Instagram, so many people have been asking about them, so I asked my husband to write up a full tutorial for how to build them. We’ve tried to be as clear as possible (and provide lots of photos), but if you have any questions, just leave a comment or shoot me an email. 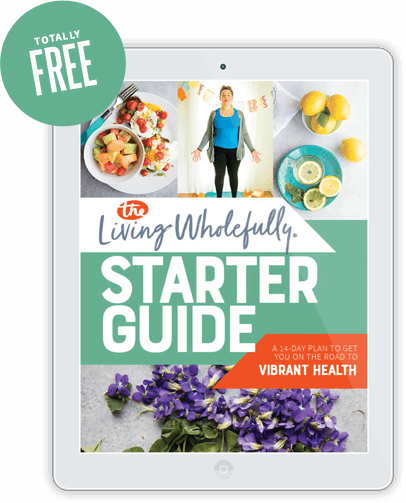 Click any item to see an example and/or purchase online. 1. On a flat surface big enough for a 8′ x 4′ raised bed, lay down two 26″ x 4″ x 4″ cedar boards parallel to each other roughly 8′ apart (photo 1A). 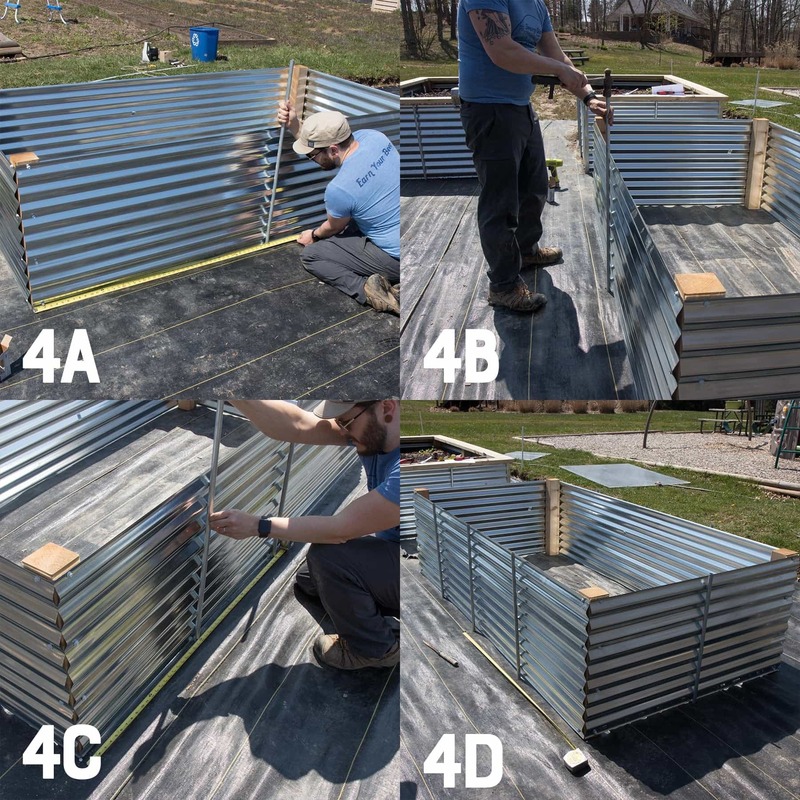 Take one 8′ corrugated panel, and place the panel so that it rests on top of your 4″ x 4″ pieces at each end, like a bridge—making sure the outside edge of the panels curve upward and the edge of each panel is flush with the edge of the 4″ x 4″ (photo 1B). 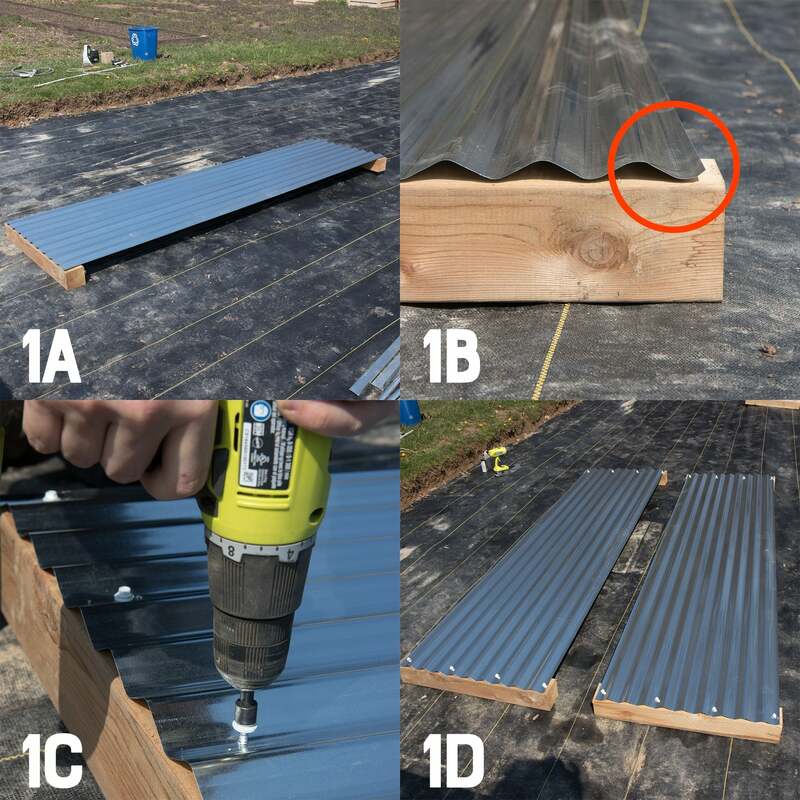 Using four of the 1″ self-drill screws for each end, screw the panel to the 4″ x 4 ” piece, starting at the top groove of the panel and skipping two grooves for each screw (photo 1C). 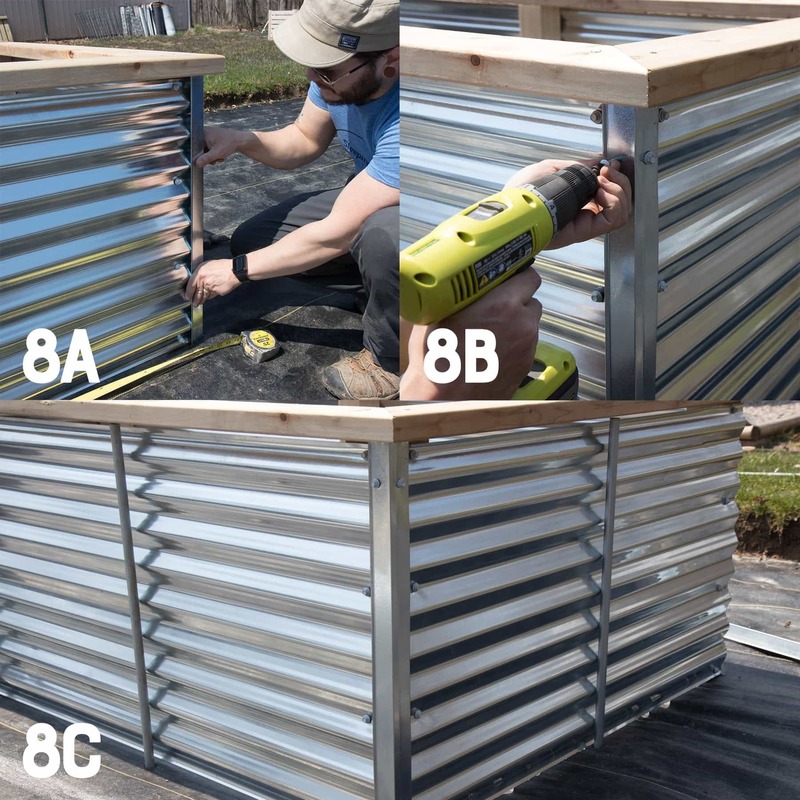 Repeat this step with your other 8′ corrugated panel and two more of the 26″ x 4″ x 4″ pieces (photo 1D). 2. Have someone assist you by lifting up one of the previously assembled panels and holding it in an upright position (photo 2A). 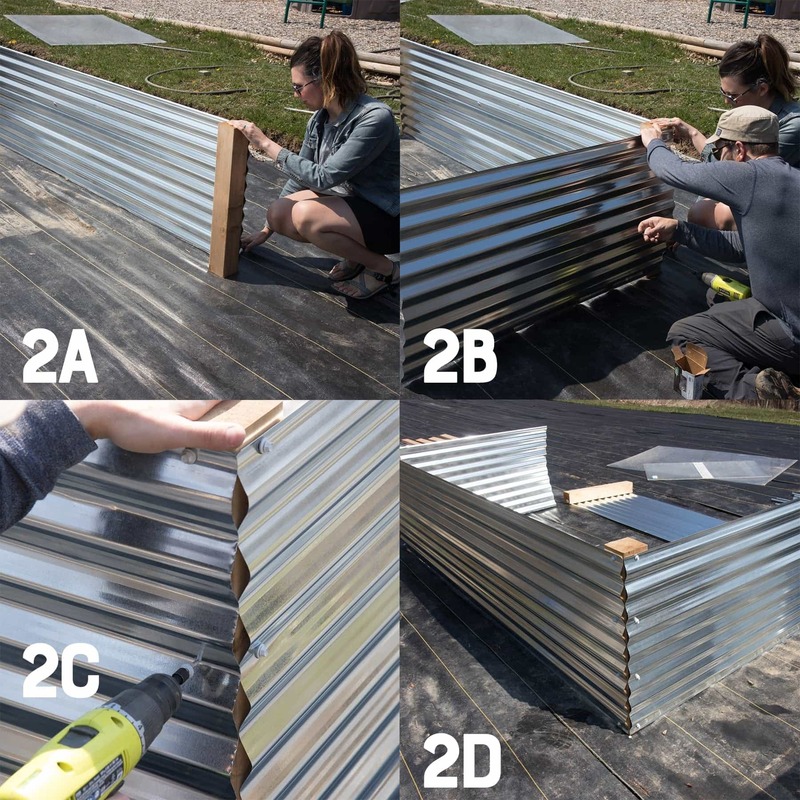 Take one of the half-cut corrugated panel and place it against either end of the assembled 8′ panel, creating a 90-degree corner of your bed (photo 2B). Using four more 1″ self-drill screws, screw it into the 4″ x 4″ through the top ridge of the panel, skipping two ridges for each screw, just as previously done (photo 2C). Repeat this step with your other half panel on the other end, creating another corner of your bed (photo 2D). 3. Have your assistant lift the other 8′ assembled panel and hold it in place between the two half panel ends to create the other side of your bed and the other two corners of it (photo 3A). Screw through the half panels and into the 4″ x 4″ corner supports on the assembled 8′ side your assistant is holding (photo 3B). 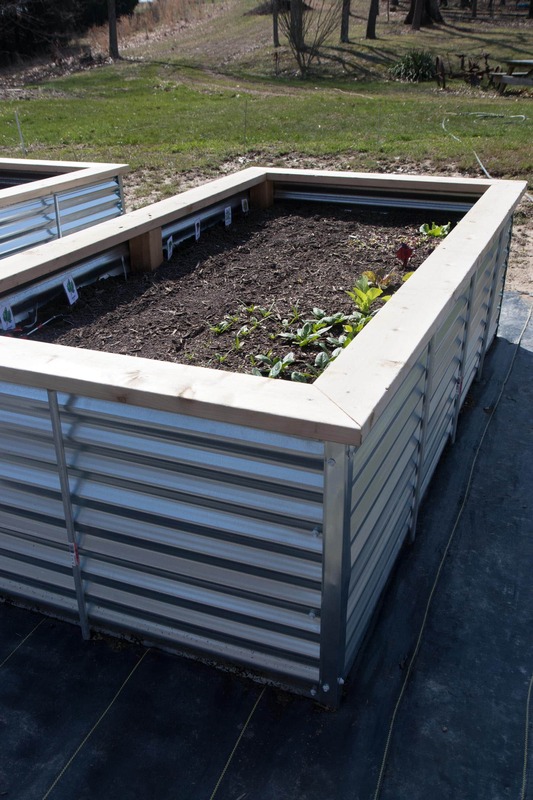 You should now have a four-sided 4′ x 8′ raised bed. Place your bed as it currently is in the location that you want it to be permanently (photo 3C). 4. Grab the eight 40″ lengths of conduit, tape measure, and sledge, as you will now be anchoring your bed in place. Start by measuring the halfway point on any side (photo 4A). Getting as close to the panel as possible, start hammering in one of the pieces of conduit into the ground at this point to about a 6″ depth (photo 4B). Repeat this step on the other three sides and then make sure your bed is still placed the way you want it, as you may have shifted it slightly when you started hammering in the conduit. Adjust as needed. On one of the 8’ sides, measure the halfway point between the previously hammered conduit and the end of the bed and hammer another length of conduit here (photo 4C). Do this on both sides of the originally hammered conduit. Repeat on the other 8′ side. Hammer all conduit in until the tops are level with the top of your corner 4″ x 4″ posts (photo 4D). 5. Take your two remaining 4″ x 4″ pieces and place these in the middle of each 8′ panel on the inside of the bed, for added support of the top rails (photo 5A). Place the 4″ x 4″ on the inside, just to the left or right of where the conduit is on the outside, and screw in using your 1″ self-drill screws (photo 5B). Repeat on other side (photo 5C). 6. To do the top rails, place one of your 99 3/4″ x 2″ x 6″ rail pieces on top of the 4″ x 4″ supports on the 8′ side (photo 6A). Make sure the inside edge matches up with the inside corner of the 4″ x 4″ corner post (photo 6B). Using one to two 3″ screws per 4″ x 4″, fasten the rail into the 4″ x 4″ (photo 6C). You may run into an issue regarding your conduit sticking up too high. Just lightly hammer the 2″ x 6″ rail until it is able to rest upon the 4″ x 4″ supports. 7. Next, place a 51 ¾″ board on one end so it hugs the 45 degree angle of the top rail that was just fastened (photo 7A). Using 3″ deck screws, fasten this board to the corner and middle 4″ x 4″ supports (photo 7B). Then, place both the remaining 99 3/4″ top rail and the 51 3/4″ top rail at the same time (photo 7C). Wiggle and adjust them so they can fit snuggly into the already fastened rails. Once they are flush, fasten them to each corner support and the two middle supports with 3″ deck screws (photo 7D). 8. Attach the galvanized roof edge to each corner to prevent injury from the edges of the sharp roof panels (photo 8A). Each 26″ corner piece will require four of the self-drill screws to fasten it, two at the top of each side and two at the bottom of each side into the corners of the bed (photo 8B). Repeat with all four corners (photo 8C). 9. The finishing touch is to sand down your cedar top rails to ensure that no splinters are going to happen when sitting on your beautiful new cedar/galvanized raised beds (photo 9A). Then fill up your bed with soil, plant, and enjoy (photo 9B)! These are AWESOME!!!! I’m so excited to see them in all their veggie glory. I can see the vines spilling out now. So excited for you to do this, I’m doing something like this next year and can’t wait for the weed control aspect! Thank you for sharing! I’ve been waiting for this post since I saw the pics/videos on insta and I am SO impressed and thankful you posted the in depth tutorial! 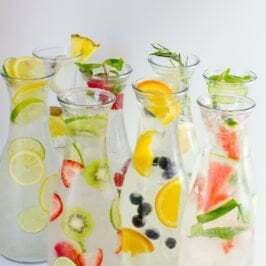 We have a lot of projects going right now but I’m adding this to the list when we get to setting up our veggie garden! We built an 8×4 a 10×4 and a 12×4 in 8 hours using galvanized metal and redwood that look more professional and aesthetically pleasing. Material cost for all $700. Far sturdier as well with 24 Gage steel side walls. Let me know if you want pics. I appreciate your efforts cause I know what it takes to do this. But, I believe we have a better nicer looking result. Cheers. And no angles to cut…. Sure, feel free to share your designs. We’re very happy with ours, but I’m always open to hearing improvements! How can we get your design, instructions, and materials list for the no angles to cut method? Wow! This looks awesome! You may have already done a post about building a swing set, but just curious if you built it or bought a set? I’ve been looking and that look so much nicer than all the wood ones I see everywhere. We bought it! We *really* wanted a low-to-no maintenance play set, and we ended up finding this one at Costco (but then eventually bought it from Sam’s Club—it was a few hundred bucks cheaper). It costs a bit more than the wooden ones, but we figure we’ll more than make up for the added price by getting to skip yearly sealing and other maintenance! I think that’s a very rare idea. But cool! What ARE the steel corner covers? Where did you get them? 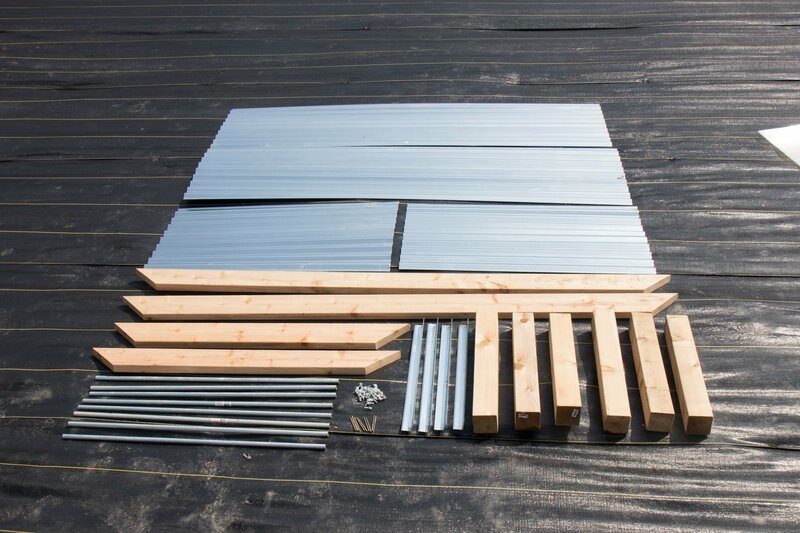 Those are the galvanized roof edges – step 8! Thank you so much for this post! This material combination seems like a perfect way to get the durability/depth out of the garden without the huge price tag of only cedar. After constructing these, do you see any problem with making a bed double in length? I’d overlap the corrugated metal in the middle with similar post/conduit spacing. I just didn’t know if strength/rigidity would be sacrificed. Thanks for your thoughts! Hmmm, I think if I did that, I would add another cedar support in the middle on each of the long sides. The conduit is strong, but even on our 8 foot beds, the sides bow ever so slightly when filled with soil. Love your raised beds. 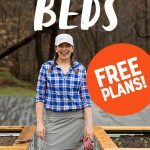 I became a fan of galvanized beds while watching the Australian gardeners on youtube. They have access to some fabulous galvanized beds that I wish we could get in the US. I built 6 4’x10′ beds similar to yours but essentially made a frame of 4″ x 4″ walls and then installed the galvanized roofing on the inside (kind of like installing drywall on a stud wall). That way the edges were inside. We put a 2″x6″ cap on top like yours. We kept the full width of the panels so they are also 26+” tall. 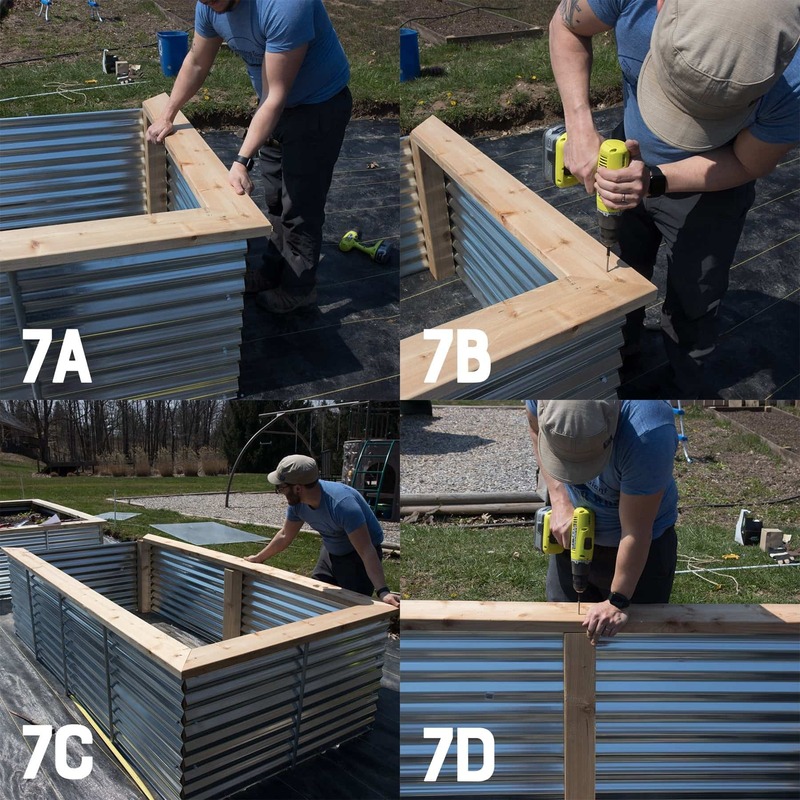 Some other suggestions for these types of raised beds are putting 1/4″ hardware cloth in the bottom in addition to the landscape fabric – keeps the moles/vole out. We haven’t had one invasion. Also applying Hugelkultur techniques can significantly reduce watering requirements. We filled the bottom 1/3 of the beds with logs (3″ – 10″ in diameter), twigs, leaves, grass clippings, wood chips, etc. The rest of the bed is filled with a combination of compost and container mix. We threw in some extra Nitrogen for the first season as the decomposing wood can draw out some Nitrogen. Finally, soaker hoses on timers sitting on top of the soil completed the project. 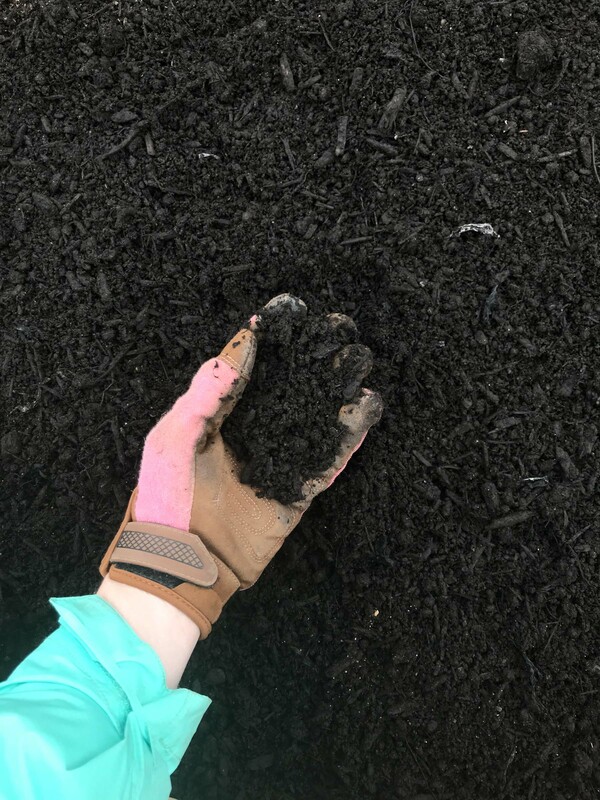 We mulch when we plant and sometimes use black plastic compost depending on what we’re planting. The combination of mulching and the buried logs really helps reduce the need for water and eventually the wood decomposes into lovely soil. Plus we saved $$ on soil by adding the logs. You do need to make sure the logs are local so you don’t import any nasty insects, etc and haven’t been pulled out of some horrific weed patch. Also some types of wood shouldn’t be used as they are detrimental to growing plants (cedar, black locust, black walnut). How have you been managing crop rotations? We use intensive companion planting and find that sometimes all of our beds have had combinations of all the plant families so in theory we’re not supposed to plant any of the families the following year! Also , how far apart are your beds? We left enough room for a wheel barrow (~ 3+ feet). We’ve had some interesting cross breeding happen between zucchini and spaghetti squash! So I think the beds should be farther apart. Thank you for all the wonderful content you provide! Love your idea! How do you water them? 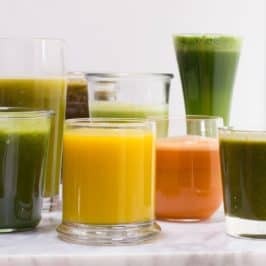 How many worms would you recommend?